Charles Coil and this editor (Basil Overton) visited E. H. Ijams and his charming wife a few weeks ago. Our visit was a great and profitable experience. 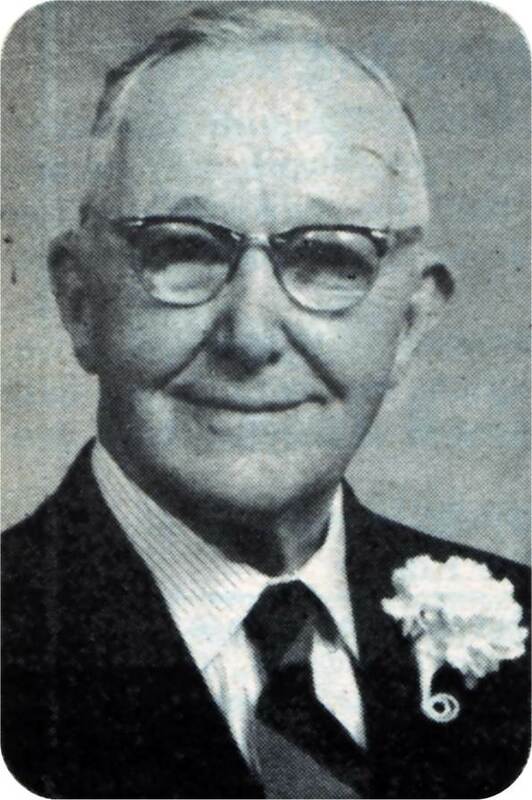 E. H. Ijams was born north of Florence, Alabama May 30, 1886. Brother Ijams thinks Vachel Ijams came to Maryland from Belgium in 1665. Vachel had five sons; one of whom was Joseph Ijams. Joseph had a son named Basil. And Basil had a son named Joseph who was the father of brother E. H. Ijams. 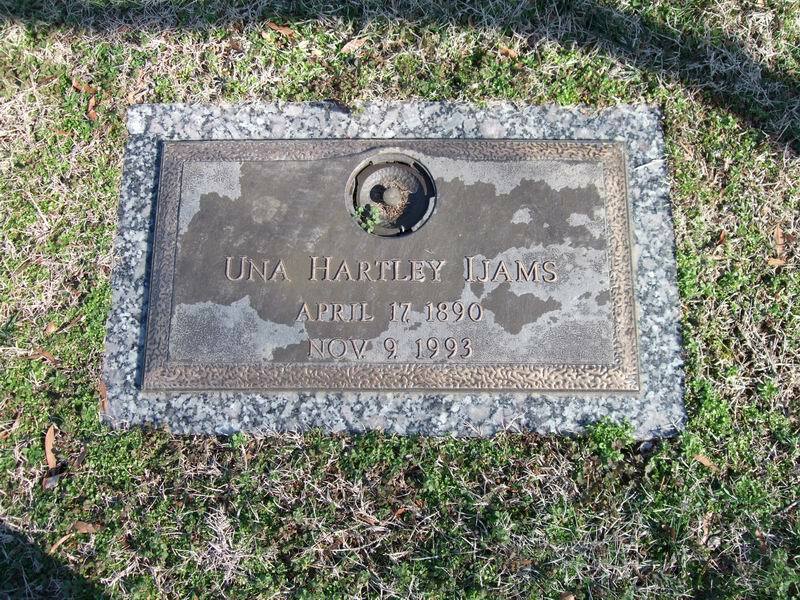 Brother Ijams was married to Una Hartley from Fort Valley, Georgia in 1915. They have three children: Joe Ijams, M. D. of Memphis, Tn. ; Mrs. J. B. Marks of Atlanta, Georgia; and Mrs. A. B. Pearson of Nashville, Tn. No doubt Charles Coil stated the case well when he said that brother and sister Ijams are two of the greatest teachers the Lord's church has ever had. Brother Ijams teaches three adult classes each week at Highland St. church in Memphis, Tn. A total of about 275 are in these classes. Sister Ijams conducts training courses for women teachers at Highland church. Brother and sister Ijams are scheduled for training work in Huntsville, Alabama in March, and in Florida in April. They are indeed still keen and clever and very apt to teach. From 1923 to 1927 brother Ijam taught at David Lipscomb College with H. Leo Boles. 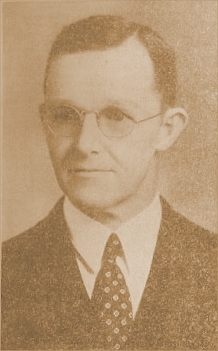 Brother Ijams was Dean of that school from 1932 to 1934. He was its President from 1934 to 1944. He pulled that school through the "hard years." Hearing brother Ijams tell about hearing T. B. Larimore preach was a good experience for brother Coil and me. He said he heard Larimore preach in a week's series of meetings at Poplar St. church (now Wood Ave. church) in Florence, Alabama in 1906. He said brother Larimore preached all that series on Hebrews 11:6. Brother Ijams said he hear brother Larimore in a week' series in Savannah, Georgia about 1920. He said Larimore preached that week on Matthew 16:13-19. In appraising brother Larimore as a speaker, brother Ijams said "He had a conversational tone voice, but could raise it so an could hear him. In this he was like William Jennings Bryan." Because of the many false philosophies taught in some institutions of higher learning, this editor has often expressed fear that this nation could fall as the result of efforts in institutions of learning. He was not surprised that brother E. H. Ijams shares this apprehension. Brother Ijams expressed two basic principles that are indeed relevant. 1. He said, "We must seek quality, and break with mediocrity; there is no escape. From the bad influence of mediocrity." 2. He said, "We have oversimplified the gospel. It is not easy to be a Christian. There is self-denial that must be practiced. We may have to die for Christ." Another thought that brother Ijams expressed is pertinent too. He said, "Whatever the church does it should do it well." Brother Coil asked brother Ijams how we could preach the gospel to all people in the next twenty-five years. He replied, "We have got to know what we want to do. We need more papers to inform the brethren. We have got to get them involved. The task looks impossible, but with God all things are possible." We commend you brother and sister E. H. Ijams for living and loving and working for the Lord so long. Elvin H. Ijams, Preacher, Teacher, Scholar! A Tribute Spoken At His Funeral . . . The voice of E H Ijams has been stilled! His speaking was not characterized by tremendous volume or perfect vocal quality, but few voices ever communicated love, wisdom, kindness, and truth in such a softly spoken manner. On July 13, 1982, his gentle spirit was released from the body in which it had lived for ninety-six years! He lived for nearly a century, but length was not the most important dimension of his life, It was, rather, the depth of his spirituality and the breadth of his influence. For more than seventy of his years, he preached the gospel of Christ! Sixty-seven years he shared with sister Ijams. How very fortunate we have been that this great servant of our Lord touched and blessed so many lives through this twentieth century! It would be inaccurate to say that churches in California, Nashville and Memphis where he did local work, are the only ones to feel the impact of his ministry. That ministry has spanned the globe! It would be inaccurate to say that David Lipscomb College, Georgia Christian School and The Harding Graduate School are the only institutions to feel the impact of his administrative expertise and his teaching skills. The influence of his teaching has been felt on the campus of every Christian educational institution in the world. His leadership in the educational work of the church, his participation (and that of sister Ijams) in teaching training programs across the land, study guides and other materials he has written, have made possible increased effectiveness in Bible teaching throughout our great brotherhood. Thousands have sat at the feet of brother Ijams and heard him teach and preach the word. Those who were his students were his students in the classroom cherish memories of the unique ways in which he impressed the great Bible truths upon their hearts. In a class on Christian Evidences, students saw him lay his watch on the desk and heard him say, "It is just as reasonable to suppose that all of the intricate mechanism of that watch just simply fell together, as it is to believe that the vast universe came into being without a Creator!" In a study of The Book Of Revelation, brother Ijams warned of the "Menace of speculation." He urged young preachers always to preach the word," and never to forget that "the gospel is the power God unto salvation." He believed and taught the all sufficiency of the word of God. We rise to call him blessed! Brother Ijams would say, "Don't give me the praise! Give the praise to God!" The powerful impact of his life was based on his faith in the omnipotence of God! The wisdom of his words found its source in the mind of an omniscient God! be with Christ is far better." "Precious in the sight of the Lord is the death of his saints." God our lives have been touched and blessed by brother E. H. Ijams! (The foregoing remarks were made by Clarence C. Dailey as a part of the funeral services for Brother E. H. Ijams.) Funeral services for brother Ijams were conducted at the Highland Street church building on July 15, 1982. Those participating were Willard Collins, C. W. Bradley, Clarence C. Dailey, Bob Brewer, Larry McKenzie, and Paul Brown. Burial was in Nashville on Friday, July 16, with graveside services conducted by Bob Neil and Paul Brown (there may have been others). Someone has said that a true friend is a person who stimulates us to live better. If this be true, then surely brother E. H. Ijams was a friend to all who knew him. To use Paul's words, "I am debtor'' to brother Ijams in many ways. Had it not been for his encouragement which he gave me forty-two years ago when I was a student at David Lipscomb College. I doubt that I would be preaching today. I also would probably not be in Memphis today had it not been for his encouragement nineteen years ago when I was trying to make a decision regarding leaving the Carolinas in order to come to Memphis to attend the Harding Graduate School. And over these past nineteen years, he has continued to encourage and bless my life. To speak on this occasion is truly one of the great honors of my life. A few years ago, while we were having lunch together, brother Ijams told me that he wanted me to have a part in his funeral when that time came. In many ways, E. H. Ijams was unique. Most people are contented to be average. In each generation only a few seem to think and live on a higher plane. Brother Ijams was such a man! In some ways, he was ahead of his day. E. H. Ijams was a multi-talented man. He was a kind, humble, dedicated Christian, a good husband and a good father. These qualities alone are signs of greatness. But brother Ijams was more. He was a capable teacher, an educator, a wonderful preacher and a very excellent writer. At the age of eighty-five, he preached in a meeting with the Wooddale church and did some of the best preaching I have ever heard. He was a most interesting conversationalist an had a wide variety of interests. It was always a joy to hear him speaking whether on the work series or world missions. One day while having lunch with Brother Ijams, I asked him, "What advice would you give to younger Christians and preachers?" He answered, "I would urge them to begin early in life making preparation to serve the Lord and never cease growing." He stated that one of the greatest regrets in his life was that he did not begin his own separation earlier. He said, "I would urge young preachers to emphasize the fundamentals, and to learn to distinguish between the changing and the changeless, the major and the minor." Then he said, "I would urge them to emphasize people rather than things. Learn to serve human needs." He believed that one of the best works of his life was in connection with the Central Church of Christ in Nashville, Tennessee where they made a real effort to reach out to the needs of the people in that community. I also asked brother Ijams, "What are some of your fears regarding the Lord's church today?" He said that he was fearful that our physical and numerical growth will surpass our spiritual. He also expressed the fear that we will let our preaching and teaching become shallow, and that we not exalt Christ and His word sufficiently. He further expressed the fear that we are losing sight of the power and potential of the local church. He urged me to give more time to helping congregations realize how much they can accomplish in the Lord's service. As a summary statement regarding brother Ijams, I want to say that it was easy to be good in his presence. I'm truly grateful for the association which I had with him. In the January 1983 issue of The World Evangelist there were two stories about the late and lamented E.H. Ijams by C.W. Bradley and Clarence Dailey. Five or six years ago Charles Coil and I visited brother and sister Ijams in their home in Memphis. Then, he was about ninety-one. He was very alert and interesting. Brother Coil had known him, but I had not met him. I had known of him and his great work many, many years. Brother Ijams told us of his admiration for T.B. Larimore and how much he enjoyed hearing him preach. Last summer I preached in a series at Bethel Berry in Lauderdale County, Alabama near my home where brother Ijams grew up. I enquired about where his parents were buried. Sister Lucille Garrett of Cloverdale respondedand gave me information on brother Ijams' parents. His father Joseph H. Ijams was born July 20, 1862 and died November 8, 1922. The mother of E.H. Ijams was Francis Ijams. She was born September 9, 1864 and died November 8, 1949. 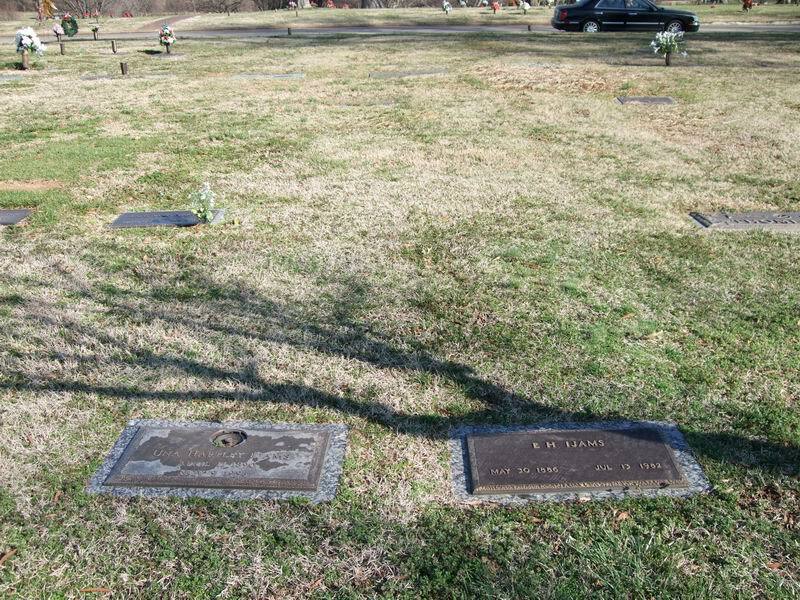 The graves of Joseph and Francis Ijams are in the middle of Pleasant Hill Cemetery in the Central Heights Community northwest of Florence, Alabama. Since sister Garrett gave me this information, Paul Harris and I went to the graves. Wayne Kilpatrick is a graduate of International Bible College, and teaches at the college. He gave me a copy of records on the Ijams family. Wayne and I recently went to the grave of the great grandfather of E.H. Ijams, Vachel Ijams, in Simmons Cemetery Near my home in Florence, Alabama. The paternal grandparents of E. H. Ijams were Bazil Gaither and Malinda Thrasher Ijams. The parents of Bazil Gaither Ijams were Vachel and Martha Ijams. September 22, 1962, the D.A.R. Alamance Chapter dedicated their monument at the grave of Vachel Ijams in Simmons Cemetery near Florence. His grave is also marked by a Bronze Plaque given by the U.S. War Department. Vachel was a Private of the 4th Regiment of the Maryland Volunteers of the Colonial Army. He was born January 10, 1759 and died February 20, 1833. I asked brother Ijams if the name Ijams was Welch. He said it might be, but he was not sure. The name is pronounced like "Imz." "Much could be said about brother Ijams' outstanding ministry as president of David Lipscomb College, as minister of the Central Church in Nashville, as a teacher a Georgia Christian School, as an educational leader in the work of the church at Union Avenue and at Highland Street in Memphis. I knew him, however, as a student in his classes at the Harding Graduate School of Religion in the early sixties. His class on Building Better Churches was excellent as he told us about attitudes and activities that build up a congregation. His course on Christian Evidence made a tremendous impression upon me. His great confidence and faith was an inspiration to all of us. I will continually remember the twinkle in he eye as he would bring in a small twig from a tree that was budding in the spring and comment on how marvelous that was." Evidently, brother Ijams liked nature and loved nature's God! He saw the handiwork of God in all things God made. (Romans 1:21). "E.H. Ijams was buried last week. His influence will live in the hearts and lives of multiplied thousands. Like our Saviour, brother Ijams taught by example. His order was to "do and teach." He was an example "in word, in conversation, in love, in spirit, in faith, in purity." His faith in God's word was sublime. Many of us as his students will ponder when we meet life's difficulties, like "pushed aside," ignored, betrayed or forgotten: "what would brother Ijams do?" And by reflecting upon his words of wisdom and his winning ways, will find the world a little brighter, human souls a little tenderer and our dear heavenly Father a little nearer." Brother Ijams died July 13, 1982 at age 96. A news report from Harding College says: "E. H. Ijams, longtime Christian educator, author and minister, has been honored in ceremonies in which the administration building of Harding Graduate School of Religion was named for him. "The announcement of the dedication was made at a dinner honoring Ijams April 19 in Memphis. and president of David Lipscomb College and a president of Georgia Christian Institute. "The work of brother Ijams with churches and Christian colleges spans sixty-five years. Born in 1886, he began preaching in Gadsden, Ma. in 1911. For forty years Ijams has taught courses on the Christian family and has been a lecturer on the campuses of Harding, David Lipscomb and Abilene Christian as well as with numerous churches of Christ. 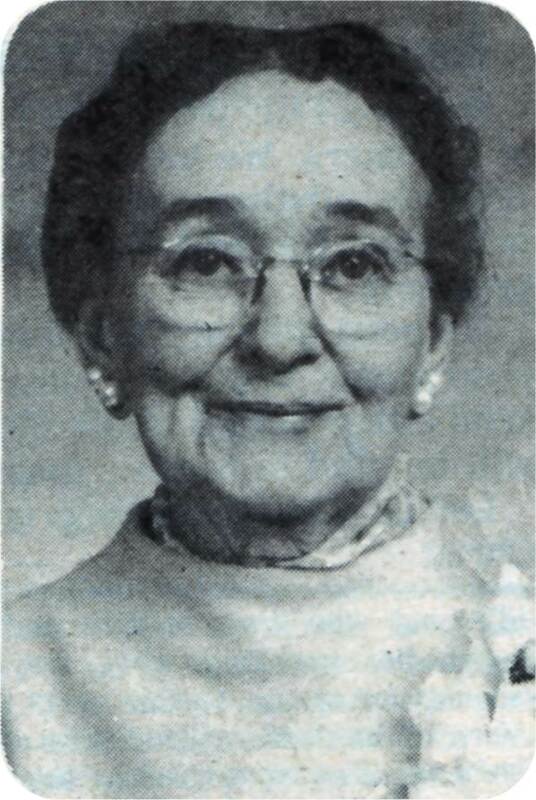 "Before retiring in 1974, Ijams served as professor of Christian Education at the Harding Graduate School of Religion and also as educational director for the Highland Street Church of Christ in Memphis. "He continues to be active in the adult teaching program of the Highland Street congregation. His duties there have involved teaching various Bible classes and personal counseling. "Ijams studied at State Teachers College in Tennessee, George Peabody College for Teachers, the University of Chicago and the University of Southern California. For a number of years he spoke on radio programs for station WLAC, Nashville. He is the author of Power to Survive and Surpass. (Pageant Press, Inc., New York. "The E. H. Ijams Administration Building, formerly mown as the C. Leroy King Mansion, houses classrooms and offices of teachers and adninistrators of the Harding Graduate School of Religion." 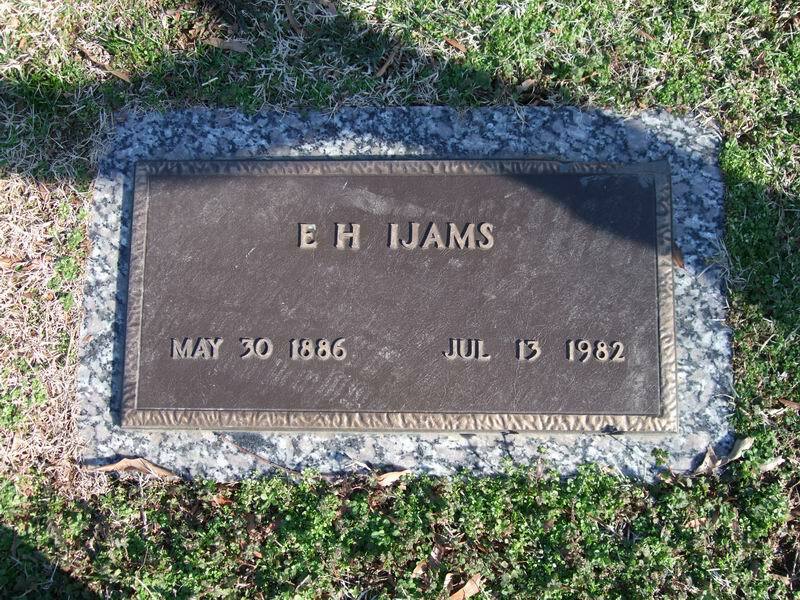 E.H. Ijams is buried in the Woodlawn Cemetery in Nashville, Tennessee. This cemetery serves as the final resting place of nearly 28 gospel preachers and educators of yesteryear, the list of which is a veritable who's who among church leaders. While visiting E.H. Ijams grave be sure to visit the grave of Batsell Barrett Baxter and Willard Collins, just within a few feet back toward the street. Directions: Woodlawn Cemetery, Nashville, Tennessee, is located behind the 100 Oaks Shopping Center that faces I-65 just south of the I-440 Interchange In The Southern Part Of The City. From 100 Oaks travel east on Thompson Lane and pass the Pepsi Bottlers, turn right into the Southside Park Of The Woodlawn Cemetery or Turn left into the Main (Northside) Park of the Woodlawn Cemetery. See a map of other graves of Gospel Preacher buried in this cemetery here.